'They are sounds that might make Pitt melt for the poor Irish', wrote Martha McTier in 1797 of Edward Bunting's Irish music. There was no greater representative of the intense interest in Irish culture in Belfast in the decade before the 1798 Rebellion than Edward Bunting. Born in 1773 in Armagh, he showed early musical talent. He moved to Belfast via Drogheda at the age of 11 as apprentice to William Ware, the first organist of St Anne's parish church. His interest was captured by the famous 1792 Belfast Harp festival, at which he transcribed the airs. His fame rests on his three pioneering volumes of what he called the 'ancient music of Ireland', collected during tours of the countryside where the traditional music was kept alive by singers, pipers and fiddlers, as well as harpers. Less well known is his career as organist, piano soloist and promoter of concerts. 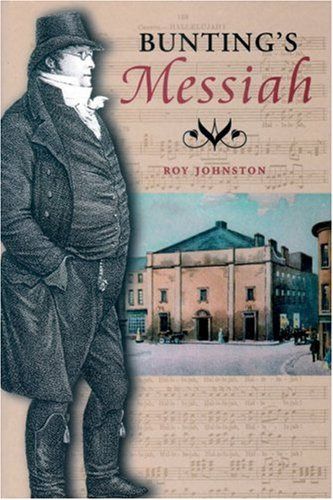 His musical energies culminated in Belfast with the four-day sacred-and-secular music festival which he organised in 1813, at which the first near-complete performance of Handel's Messiah was given. Bunting married and moved to Dublin in 1819, and died there in 1843. This is a long-overdue account of Bunting's considerable contribution to the musical life of the Belfast of his day, reconstructed from existing sources and new research into contemporary documents.